This event was organized by the Chavez in an attempt to parody the art revolution happening in St. Louis at that time. The event featured a “Dr. 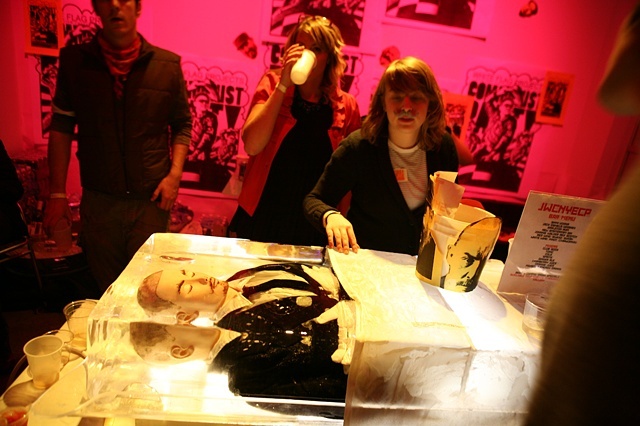 Strangelove” style “Ride the Bomb” mechanical bull competition, a “Bay of Pigs” barbeque and a life size ice sculpture bar of Lenin lying in state.